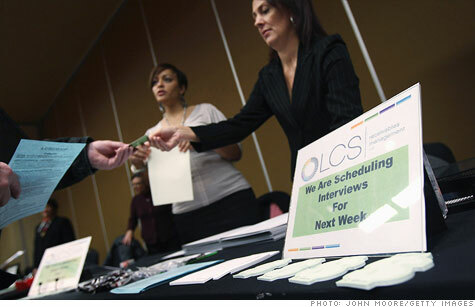 The deadline to file for federal unemployment benefits is at year's end unless Congress passes an extension. NEW YORK (CNNMoney) -- Millions of unemployed Americans are anxiously waiting for Congress to take up the extension of federal unemployment benefits. If lawmakers don't act, the checks could stop coming as soon as January. What are federal unemployment benefits? During major economic downturns, Congress authorizes federal unemployment benefits to augment state jobless benefits, which last up to 26 weeks. Lawmakers first approved federal unemployment benefits in June 2008. Since then, Congress has lengthened the federal program and extended the deadline to file until the end of 2011. Federal benefits consist of up to 53 weeks of emergency compensation, divided into four tiers, and up to another 20 weeks of extended benefits. Here's how it works: When a person becomes unemployed, they file for state unemployment benefits. Once the state benefits are exhausted, the federal benefits kick in. How long they can receive benefits depends on the unemployment rate in their state and on their work history -- the maximum is 99 weeks. But unless Congress acts, those who reach the end of their state benefits or federal tier will not be able to apply for additional benefits. Some 17.6 million Americans have collected federal benefits over the past four years. The most recent extension, passed last December, kept 7 million people on the rolls. What does Congress have to do to extend them? Lawmakers must vote to approve extending the deadline. They have lengthened or extended them eight times since they were first authorized. When Congress passed a 13-month extension last December, it was thought by many to be the last. But since the economy hasn't recovered as much as hoped and unemployment remains high, advocates say the lifeline must continue. How much will it cost? The Congressional Budget Office estimates that it will cost $44 billion to extend federal benefits through 2012. Jobless Americans have collected $434 billion in unemployment benefits over the past four years. Taxpayers have footed about $185 billion of the bill. The last extension cost about $57 billion, but there were more people collecting unemployment benefits at that time. The rolls have been shrinking slowly as the economy picks up and as people exhaust their benefits or stop looking for work. What's the hold up? Both Republicans and Democrats generally agree that unemployment benefits should be extended. They don't agree, however, how it should be paid for. Republicans have insisted the cost be covered through steps such as spending reductions. House Speaker John Boehner unveiled a bill Friday that would gradually cut benefits back to 59 weeks, while implementing other reforms. It would be paid for by freezing federal workers' pay, prohibiting millionaires from receiving unemployment and food stamp benefits and other measures. Democrats, meanwhile, want the extension considered emergency spending so it would not have to be offset. Nearly all extensions since 2008 have been emergency spending. What happens if they don't get extended? Some 5 million people will stop getting checks next year, with nearly 2 million of them exhausting their benefits in January alone. The jobless depend on these checks -- which average about $296 a week -- to feed their families and keep a roof over their heads, advocates say. Without extended benefits, the typical household receiving unemployment checks will see their income fall by a third, according to a report last year from President Obama's Council of Economic Advisers. Jobless benefits also pump billions into the economy since recipients tend to spend their checks quickly. Each dollar of unemployment insurance collected pumps about $2 into the economy, according to some estimates. Do you receive unemployment insurance? Have you not been looking for a job as hard because you are getting benefits? Email mailto:realstories@cnnmoney.com with your contact information and you could be contacted for an upcoming story or video. Jobs growth nice. But show us the money!